city centre and the Prater. Our design hotel is situated in a quiet side street of the second district (Leopoldstadt), in close proximity to one of Vienna’s most famous sights: the Grand Ferris Wheel in the Vienna Prater. There is excellent access to public and private transport: the next subway, tram, bus and rapid transit stations are only 100m and the next motorway junction is merely seven minutes away. If you want avoid the search for a parking space, take advantage of our parking lot (subject to a charge, reservation required). 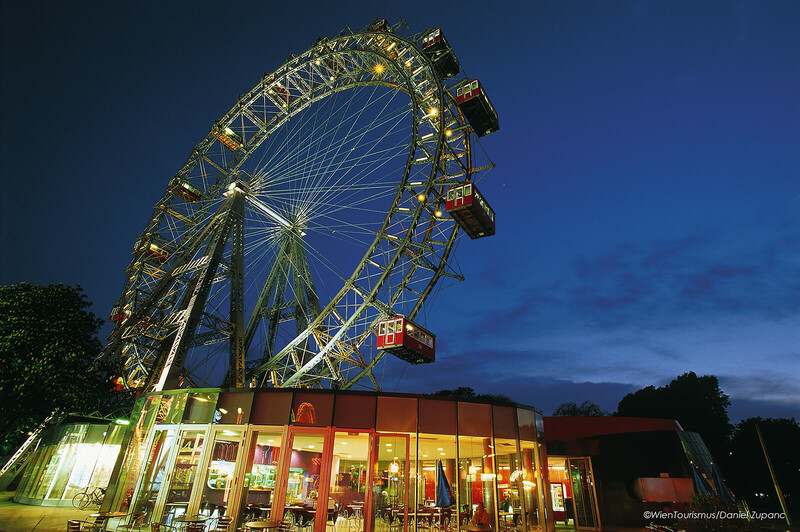 The city centre is merely 10 minutes by subway or a 20-minute-walk away – and the Prater is just around the corner. Transfer will take around 40 minutes and is only 4.50EUR/person. Alternatively you can go by taxi, which will cost about 47EUR and takes approx. 20 minutes.